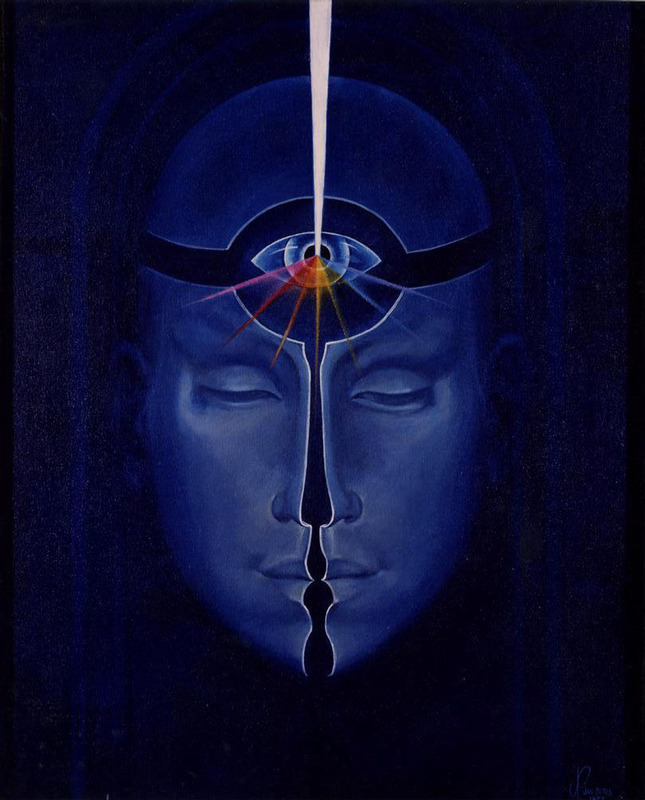 This painting was painted many years ago….but the image is one that to me stands on it’s own merit, in representing the state of mind where we finally give up “arms”, and multi-faceted inner resistance….and truly surrender to the most natural of unfold-ments. The ego ( the mask, false identity ), who runs our life from the dark labyrinths of the unconscious, is thus rendered powerless, layer by layer, by the Light of Truth that is now invited and allowed. best.email.everrr! i am hoping that everything works out. this made me even more confused about what to do this summer! Thank you for your comment. Sometimes confusion is just what we need…..to go further. Powerful message and very beautiful to look at too Jan. The light seen here is as piercing as a laser and could cut through anything. Sometimes our masks fall off when we least expect it, but how quickly we scramble to find them, and put them back on. When we choose to go beyond them, we have undertaken a very courageous odyssey indeed. Your art is so expressive of you!! Thank you Karima! It is a gift to See that indeed that odyssey exists…and entering there is only allowed at the greatest of cost…. Love seeing your art with your personal revelations as they are related to the art piece (“peace”) attached. Very thought-provoking! xoxo~V. Thank you Vivian….this blog venue is a new endeavor for me. Talking about these images is sometimes surprising …. Good piece of writing, I seriously watch for posts by you. Thank you Rikki. This blog thing is new to me…and it is good to know there are those who are paying attention!